Hi! Here is this week’s sermon outline and scriptures for your personal study and enrichment in Christ! Get your Bibles out! According to 1 Timothy 3 pastors are to be men who have the gift of teaching, and as any teaching pastor will tell you: we love metaphor. DTS professor John D. Hannah (not to be confused with animal lover Jack Hanna) has written an honest evaluation of the history of one of the world’s important Seminaries. Looking for a New Preacher? Take Spurgeon’s advice. In a sermon given at Exeter Hall on Dec. 30th, 1860 Charles Spurgeon spoke of what we bring to Christ in relation to our Salvation. May we all remember that we bring nothing to the Cross, yet gain eternity there. Biblical Authority, Church, Denominations, Exegetical Preaching, John Stott, Marriage, Read Books! 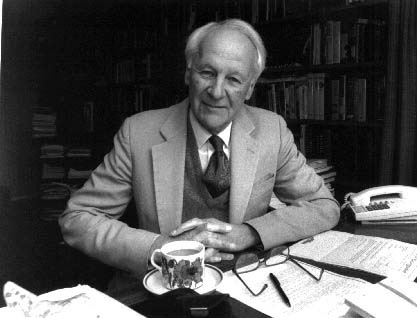 Lessons on how to be a better Pastor from the Life of John Stott. As I preached through the Gospel of John from Nov. 2009 to Aug. 2011 I found R.C. Sproul’s commentary on the Gospel unequaled in its balance of deep theological teaching and practical application. This commentary was always in my study as I prepared sermons for the Church’s edification. Dr. Sproul penned this commentary as a direct result of his preaching labors from the pulpit of St. Andrew’s Church in Sanford, FL. I have a great amount of respect for Dr. Sproul and have benefited from his ministry. As useful and challenging as Dr. Sproul’s writings are it is important to remember that they do come from a Covenant Theologian’s bent. So it should not surprise one that when Dr. Sproul comments on the Apostle John’s account of the Lord’s washing of His disciple’s feet in Jn. 13 that he connects this event with Baptism, an observation which left me scratching my head (p.243). Nor should it surprise one that Dr. Sproul calls Dispensationalism a “novelty theology that arose in the nineteenth century…” (p. 284), which isn’t all that charitable. It would perhaps have been more accurate to say that Dispensationalism is a theology that arose in the nineteenth century that a novel few take quite seriously. = ) May we Christians learn to get along before we meet our Father. That being said, it is important for the Christian to note that just about every bible teacher is teaching from some kind of bent. All and all, I highly recommend that R.C. 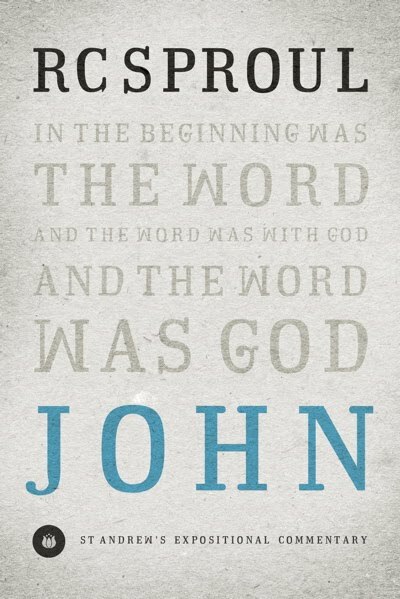 Sproul’s warm and engaging commentary on the Gospel of John make its way into your theological library!